Great video here sent from one of the blog’s viewers, RI Brook Trout. 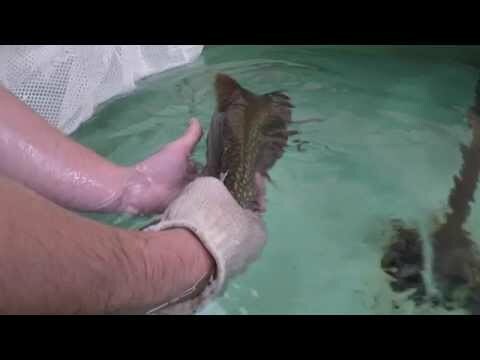 Check it out, and make sure your fish aren’t going belly up 30 seconds after you release them. Of course, while this is specific to the tailing glove, the same dangers exist with setting a fish in dirt, rocks, or excessive bare-hand handling. Great info! I've always wondered about those gloves. Now, I know! Very informative video. What I try to do is keep them in the net mostly in the water, remove the barbless hook, take the pic of it in the net some times, and let them go.